From free hampers, websites and tickets, Stockbridge Local has a huge array of exclusive freebies up for grabs. So if you love Stockbridge and free things, then this is the right place for you! Alternatively visit us on Facebook, Instagram or Twitter and enter there! Please remember to confirm your subscription in your inbox for your entry to be valid. Inflatable Assault Course / Giant Jenga / Rock Climbing / Police Dogs / Bomb Disposal Robots / Emergency vehicles / Classic and Sports Cars / Luca's Ice cream and cakes. They would love you to join them, having lots of fun and helping raise money for our great cause. Ever fancy yourself a model? Now is your chance to win a 1-hour photo shoot in Circus Lane with Martin Stewart. Maximum 4 people, digital images only, prints are available to purchase. Martin Stewart is a local Edinburgh-based photographer who specialises in Portraits. Sitting in front of a camera can be intimidating for most, but you will be made to feel at ease, in a relaxed atmosphere. This years programme of events has a wide range of exciting events. They look forward to you joining them! Complete BOTH Stage 1 & Stage 2 for entry to be valid. Pure Gray are giving away a Prosecco Rose Candle. A fragrance which is a year-round celebratory favourite with key notes of sparkling pink prosecco and rose petals. Voluspa's vermeil collection delights the senses further, unveiling modern pastels on reflective mirrored surfaces with each product revealing a surprise luxe gold interior. The 36oz maison candle has smooth burning wax in a decorative metallic glass. Comes complete with an embossed lid to keep the creamy coconut wax dust-free when not in use. This elegant container gets a second life when used for flowers or trinkets when the candle is gone. Vertigo Access Solutions us all of the traditional services of a Steeplejack. Using methods of rope access, powered access lifts (cherry pickers or scissor lifts) or scaffold frames, comprehensively inspect entire buildings, and provide a picture-annotated report showing all defects, with expert opinions on the recommended remedial work required. Equipped with a range of skilled technicians covering all aspects of building maintenance and repair at height. The survey will carry out a pictured report of the roof area and descend the elevations picturing and defects that may be found. This is ideal to keep the building in good order without unnecessary scaffolding costs. Whether you’re a cricket fanatic or have never watched a match before, there is something for everyone at the upcoming Twenty20 International! Scotland take on the current world no1 Pakistan, right here at The Grange in Stockbridge! Come on down and help create the lively atmosphere, enjoy some sunshine and show your support to our tartan boys! T20 cricket is fast, furious and action packed – be sure not to miss out! Tickets on sale NOW! Click here for more info & tickets. In need of some pampering? Simplicity Cars love helping people choosing a new car - from your first car to your dream car, they'll help guide you through the confusing world of cars, by providing leasing options that will save you money. 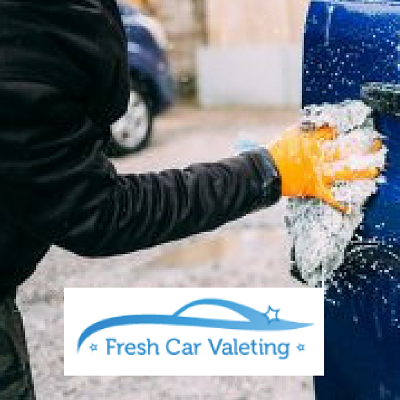 Now the summer is starting, they want to help one lucky person make their car look like new with the help of Fresh Car Valeting. The Juniper Festival will take place at Summerhall, Edinburgh. 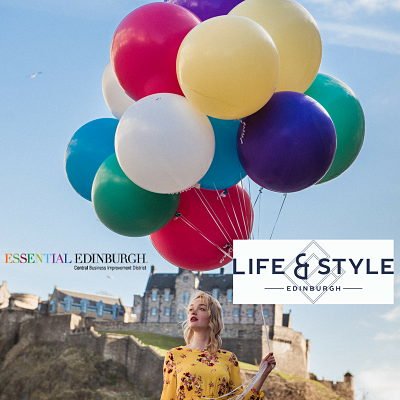 After a sell-out debut in 2017, Life & Style returns to the Capital this Spring, 5-6 May, where visitors can enjoy a stylish weekend, with the best that Edinburgh has to offer. Brining together the shops, bars, brands and businesses in the central Business Improvement District, offering a packed programme, including a fashion show, trend talks, beauty treatments and workshops, as well as gaining access to exclusive discounts, masterclasses, expert advice, food and drink and much more. Join Edinburgh Rugby on Silver Saturday (28 April) for the 1872 Cup decider against Glasgow Warriors and BT Cup Finals Day. Silver Saturday combines the two big events for the very first time at BT Murrayfield for a massive day of rugby. We're giving away 2x SILVER tickets for the event, with access from 930AM on the 28th. If that's not enough to make you want to enter, the winner will also receive a £100 Kyloe voucher. The prize consists of 2 match tickets to Silver Saturday at BT Murrayfield on Saturday 28th April, from 09:30am and a £100 voucher for Kyloe. The prize is non-exchangeable, non-transferable and no cash alternative is available. The winner will be contacted by Edinburgh Rugby by email with information on how to claim the prize. The prize is only available to the named winner. Personal data supplied provided during the course of this promotion competition may be passed on to Edinburgh Rugby only insofar as required for the fulfilment of the prize. Join Andrew Smyth, aerospace engineer and Great British Bake Off finalist and scientist, performer and explorer Dr Niamh Shaw on a gastronomic journey into orbit at this year’s Edinburgh International Science Festival (29 Mar - 15 Apr). This interactive event, with special guests from the European Space Agency, will explore the surprising connections between everyday bakes an the extraordinary engineering that helps keep astronauts alive in space. Not one to miss! Or if you can't wait to see if you've won, click here to get 2for1 tickets at 25 different shows exclusive to Stockbridge Local! With 20 years of indoor cycling experience, they use simple movements on the bike to structure and optimise each workout and the fundamentals of indoor cycling with the best tools to do this. A club feel and soundtrack, the instructors motivate and inspire each rider to hit their own fitness goals. Or if you can't wait to see if you've won, click here to get a free trial. Deadline for entry 23:59 18 Mar. Winners will be picked at random and announced by 31 Mar. Click here for full T&Cs. Revolutionise the way you approach fitness with yoga expert and celebrity trainer Shona Vertue - in just 28 days! "Shona changed my perspective on yoga. Working with her made my aches and pains after playing disappear. She is the best." We have partnered up with The Physio Centres to give you an opportunity to win this signed copy! Melanie Boyle is a Scientist with a profound interest in Nutrition and Health. She is a qualified Nutritionist (BSc) and working towards a Masters in Person-Centred Practice, Health & Wellbeing. Her mission is to enable everyone to be the best version of themselves using a person-centred approach with evidence based practice. Her interest is mostly the body, how it works and also how it is affected by food, nutrition, exercise and also how it is affected by how we think. Or if you can't wait to see if you've won, click here to get 30% off 1 month nutritional health plan. Young Engineers offers educational LEGO & KNEX clubs for children aged 4 to 11. Classes run on Thursdays at Stockbridge Parish Church. Classes are also available across Edinburgh, West Lothian and Fife and run 7 days a week. Sessions are designed by professional engineers and focus on engaging children in Science, Technology, Engineering and Maths (STEM). Each week we introduce a technical concept and build a different model to help our understanding. Holiday camps will run at Easter and Summer to provide more in-depth sessions. Click here to see our fantastic Wellbeing Offers, including FREE 1to1 Pilates, Crossfit and PT. Deadline for entry midnight 28 Feb. Winners will be picked at random and announced early March. Click here for full T&Cs. All major insurers accepted and are the chosen sole providers of Apos Therapy in Scotland. ... or can't wait, then click here to get a fantastic 50% off a sports massage (for only £25). Deadline for entry midnight 28 Feb. Winners will be picked at random and announced early March. Click here for full T&C's. All physiotherapists have undergone extensive postgraduate training and have years of treatment experience. The Physio Centres host a number of Pilates and Yoga classes run by physiotherapists, where you can expect a great welcome, in addition to excellent results. They look forward to helping you. Win a 1 hour Personal Training Session & 30 minute massage (worth £60) with Be-fit360 Mobile Personal Trainer Lyuda. Mobile Personal Trainer. Qualified Personal Trainer based in the city centre of Edinburgh, will travel to your convenient location based on your preference such as home, garden, gym, nearby park or office with own equipment for you to use during the session. Or if you can't wait to see if you've won, click here a FREE initial Session, then 15% off PT Session. Deadline for entry midnight 28 Feb. Winners will be picked at random and announced on early Mar. Click here for full T&Cs. Win an interior, exterior or full valet from Fresh Car Valeting (worth up to £60). Built on the values of excellence, loyalty and hard work, this business is a complete mobile car cleaning service direct to your door, your workplace or on-site location. In fact, anywhere your vehicle is parked it can be cleaned. Deadline for entry midnight 31 Jan. Winners will be picked at random and announced week commencing 3 Feb. Click here for full T&C's. Bringing together some of the biggest names in health and fitness industry. As well as talks and workshops on everything from healthy eating to emotional wellbeing, plus a range of classes from Pure Gym, Tribe Yoga, Clubbercise and Dancebase. Improve your health in 2018 or just want to come along to fun classes and interesting talks. Deadline for entry midnight 24 Jan Winners will be picked at random and announced on 25/26 Jan. Click here for full T&Cs. On 31 Dec, ring in 2018 with a pair of tickets to Edinburgh Hogmanay Street Party presented by Underbelly. Join people from around the world to bring in the New Year at one of the world's BIGGEST and BEST outdoor parties with live music, DJs, street entertainment and the ultimate fireworks display from Edinburgh Castle. Deadline for entry 12:00pm 28 Jan. Winner will be picked at random and announced 29 Jan. By entering you are agreeing to Stockbridge Local keeping in touch with you. You will not be swamped with emails and can unsubscribe at any time. Pickering's Gin Baubles are back and we've got two boxes to give away as great things come in small packages and these little beauties are filled with Pickering's Gin! Deadline for entry midnight 30 Nov. Winners will picked at random and announced week commencing 3 Dec. By entering you are agreeing to Stockbridge Local keeping in touch with you. You will not be swamped with emails and can unsubscribe at any time. Activity Delivered's beautiful indoor mini tipis make for a birthday experience that will not be forgotten! Their incredibly cosy mini tipis set right up in your living room, meaning that no matter the weather, your glamping sleepover will not be a wash out. Sure to be the talk of the class, they have 8 stunning tipis which can cater for up to 16 children and with their memory foam mattresses, every child is guaranteed a comfy nights sleep too. The Uk's biggest food festival returns to Edinburgh's EICC 24 to 26 Nov 17. FOODIES FESTIVAL will be decking the halls again at the EICC in Edinburgh, kicking off the festive season with a 3-day feast with all the trimmings. To Enter - Complete the form below. Deadline for entry midnight 17 Nov. Winners will picked at random and announced week commencing 20 Nov. By entering you are agreeing to Stockbridge Local keeping in touch with you. You will not be swamped with emails and can unsubscribe at any time. SLA look forward to welcoming as many of you as possible on the night. Last year SLA raised £33,500 and this year hope to raise at least the same again! Scottish Love in Action (SLA) Fireworks Extravaganzas! Scottish Love in Action (SLA) helps vulnerable children in India. Deadline for midday, 3 Nov. Winner will picked at random and announced soon after. By entering you are agreeing to Stockbridge Local keeping in touch with you. You will not be swamped with emails and can unsubscribe at any time.